One of the original Monteith's bars in Auckland, Basalt is the gem of Howick Village. Situated on a sunny corner with an amazing roof top bar looking out onto the water. 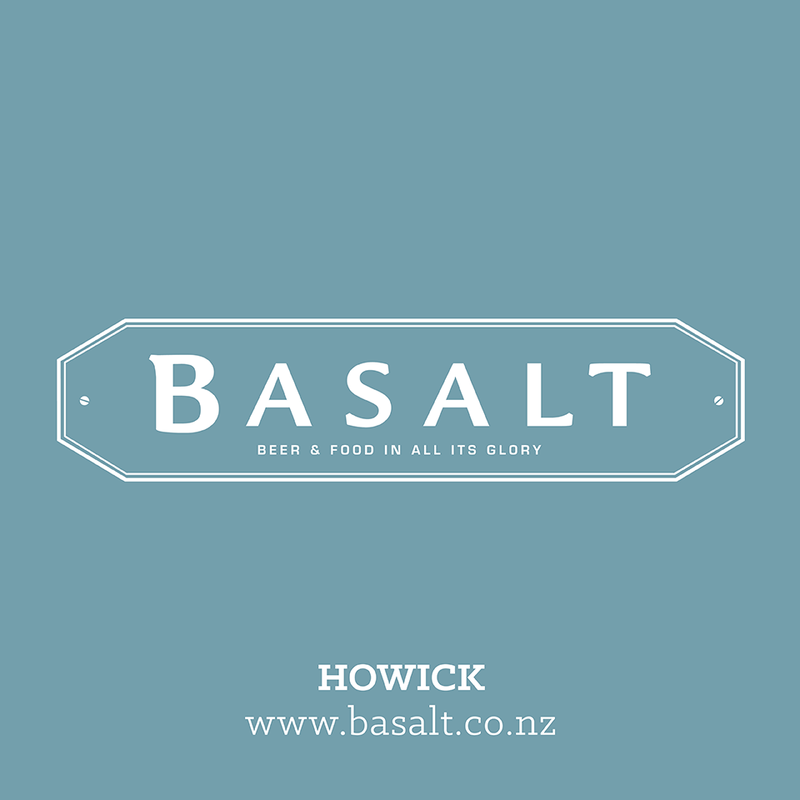 A real local's bar, Basalt has that home away from home feeling, where you're looked after with great food, great beer and warm, friendly service. An excellent place for families, Basalt has a creative menu with favourites to please everyone, plus the innovative stonegrill dining. 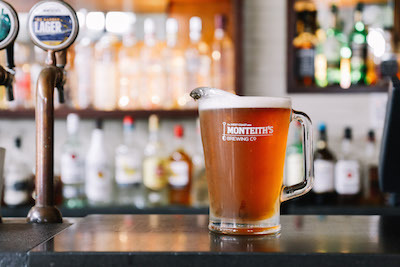 Offering the full range of Monteith's beers on tap, including seasonal releases, an extensive wine selection bar tapas menu - you'll enjoy socialising with friends and family here. For relaxed, casual dining in a modern stylish setting, dine in Basalt's stylish restaurant, where a team of chefs create delicious meals, served with a smile. Looking for a room with a view? Check out Gazebo, Basalt's roof top bar. With stunning views of Howick Beach beyond it is definitely the place to be on a Sunny afternoon. 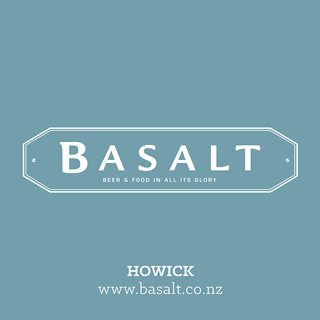 Come and make Basalt your favourite local bar. Enjoyable evening, a good place to meet up with friends. Thank you for taking the time to leave us with your feedback Wendy, we hope to see you again soon. Great food, luckily, as we got the wrong orders but enjoyed it anyway! Thanks Sean ! We look forward to seeing you again soon ! Excellent - best service and quality food! Great to see you look after kids so well. Thank you! Thank you Chantel we look forward to seeing you again soon ! Thanks Shirlene !! We look forward to seeing you again soon  ! Mostley enjoyable to eat here. Thank you James we look forward to seeing you again soon  ! There weren’t any plant based options on the menu. Staff said that items could be adapted but really there weren’t any items that could favourably made plant based. Very unusual in 2019 for a restaurant not to have at least one plant based option. Very poor. We had to eat elsewhere. Thank Brian and June we appreciate your great feedback ! We hope to see you back again soon. Hello Wendy, I'm sorry to hear you didn't enjoy your experience ! We have had the business sprayed twice from professionals using industrial strength fly spray but with our open style bar doors and windows fully open in this sticky humid heat its next to impossible to get rid of them completely? As for the smell in the restaurant we quite often roast the pork ribs and the pork belly for 12 hours to make them extra juicy for the diners coming in for dinner, but I do apoligise if you didn't enjoy that smell. We hope you return again for us to provide you with a better experience. Thanks again for giving us your feedback. Took my girlfriend there for a nice breakfast which was great. We were greeted at the door and asked to pick a seat. The man serving us was great and had some humor which was nice. Made q small mistake with our order but made up for it and was apologetic so itwas no issue for me. Great environment great service! Thank you for giving us your feedback ! We are so glad you enjoyed your experience and we look forward to seeing you again soon. Friendly and helpful staff. Love the atmosphere, love how they prepared our reserved table especially when there's a kid with us. Will definitely visit again. Thank you Eugenia, we appreciate you taking the time to provide us with your feedback ! We are a family restaurant and we are so glad we gave you and your family an enjoyable experience to remember ! We look forward to you visiting again soon ! Food and service was very good..the young lady’s who looked after us were excellent. Thank you for taking the time to provide us with your feedback Geoff ! We are glad you enjoyed your service and we look forward to seeing you again soon! Not a fan of the price of the cider. But overall good food and worth going to. Thank you for your review Christian, we have passed your feedback on to our venue manager. We hope to see you again soon ! Thank you Esther, we appreciate your great feedback ! Food was fantastic. Staff were very attentive without being overbearing. Overall a wonderful dinner out. Thanks. Thank you for the great feedback Chris ! So glad you enjoyed your experience and we look forward to seeing you again soon ! We had a great lunch thank you. The food was delicious! Thank you Hedi for your great review, we look forward to seeing you again soon ! Food was average. Bar upstairs is great. Im sorry to hear you didnt enjoy your food, I would love to know what we could have done better to improve your experience? The interesting menu and specials, as well as value for money, makes this a great local for us to visit frequently. There's a great variety of  mocktails for the sober drivers as well as the range of drinks. Lovely relaxed dining. Thank you Lesley for your great feeback ! We hope to see you again soon  ! The presentation of the food was fantastic but portion size vs value for money was very disappointing I.e. we ordered the medium or small beef cheeks thinking there would be more than one piece but sadly, there was only one.it really took away from the experience unfortunately. Thank you for the feedback Dee, i have passed this on to our new head chef. Thank you Keri we appreciate your feedback. Couldn't have asked for better service that came with the great food! Thank you Richard, we appreciate the great feedback  ! We hope to see you again soon ! We had a lovely night, first night off for dinner without our son! It was perfect, great atmosphere, great food and great staff!! Brooke was so wonderful and attentative! Whilst we were paying we found out it was her first shift! You would have never known! Great food, service was a bit slow but overall good experience. Thank you for taking the time to leave us with a review, we hope to see you again soon! Thank you Hutokshi, we appreciate you taking the time to leave us with a review. We look forward to seeing you again soon.